The Māori privilege debate continues to do the rounds. Over recent years, as I have become more involved in my own tribal activities, it irks me that many communities still cannot get a grasp of the place of mana whenua within the wider community. This was best played out in my community last year during the New Plymouth District Council Māori Wards referendum that went to the vote, and was resoundingly voted against by 83% of the wider community. The online and letters-to-the-editor rhetoric in the local Taranaki Daily News reminded me of the 1950s and 60s’, “We need to watch out for these uppity Māori”. And, amidst the usual diatribe came the, “Why should Māori get special treatment?”, and other Māori-privilege comments. It made me think, are Treaty of Waitangi workshops and cultural responsiveness programmes really hitting the mark at a school level, let alone amongst our wider society? Are they getting us to a place of really seeing Māori as tangata whenua, as mana whenua? It has been 40 years since the beginning of the Māori renaissance of the early 70s — why are we still grappling with these treaty issues? I often think and publically announce that we have come a long way in those 40 years of Kōhanga Reo, Kura Kaupapa, Māori Radio, and TV, treaty settlements, but still 83% of my community said No to Māori representation. And that is the crux of what the Treaty means for us as Māori. Māori are tangata whenua, one of the treaty partner’s, though some people still want to dispute that. That partnership gives Māori mana whenua rights and responsibilities. We are not just another member of our multi-cultural society. For Māori, this is our homeland, the only place we can speak our language — an official language — since 1986. The only place we can live our cultural beliefs, to just be Māori. Other cultures can return to their homeland to speak their language, to live within their culture. And so it goes on; this list is non-exhaustive! The reality, for Māori, when people say to us “we are all one people” is that we all speak English only, and live a Pākehā life that doesn’t value our identity, language, and culture. In New Plymouth, if Māori parents want their children educated through te reo Māori, there is only one choice, unless they are happy to travel 45 minutes to Opunake. If they want them educated through te reo Pākehā, there are 39 choices. Don’t tell me about Māori privilege. So, how well are Māori represented in those English-Medium schools? Is what is happening in our wider society being played out in Boards of Trustee (BOD) representation? How can we encourage Māori representation without it being seen as Māori privilege? The reality is it is hard to be the sole Māori representative on a board, and Māori are not always jumping at the chance to stand. So, school leadership must look at ways to make Māori representation safe and valued. We must understand that the mana whenua voice is value-added, rather than just there because we are Māori. The mainstream mono-lingual, mono-cultural position is not the only worldview. As we look at the bigger picture and consider Māori values and attitudes to our environment, leadership, economy, staff recruitment, and curriculum content, Māori have a lot to offer at many levels. Māori representation is a must on boards of trustees. A mana whenua voice should be considered as a permanent Board position. Begin with the Māori school whānau. The iwi machine is often too hard to work through. Remember, calling whānau hui is not always the answer, but allow that school whānau to determine the best way to meet and engage. Don’t let this be dominated by school leadership and teachers; let the whānau lead so that their voice is heard. 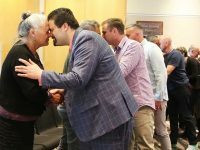 That group becomes the support basis for Māori representation on the board, and invite them to decide who that will be, or, how their voice should be heard. Go on your own journey of understanding the local iwi narratives, plan your own reo journey, and seek the support of mana whenua to determine the tikanga/protocols that are appropriate for your school. Māori privilege is a myth. When we really understand the history of Aotearoa, we also understand why Māori dominate the negative statistics. 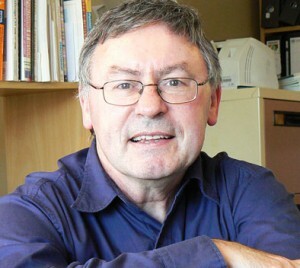 But, let’s leave learning our own history in the New Zealand curriculum to another blog! 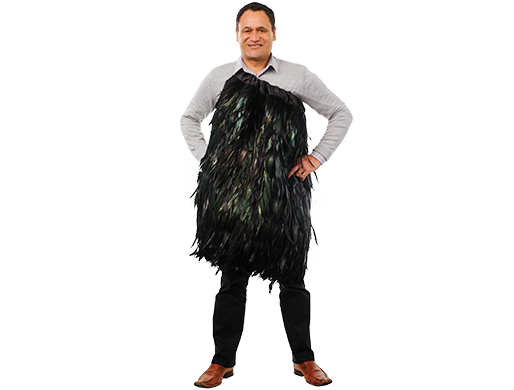 Wharehoka Wano As part of the CORE Education team, his role is in ensuring clear communication between the CORE team and the Māori team, and the wider CORE external stakeholders. His strengths are in facilitating, leading and ensuring team members are contributing in areas they have strengths. 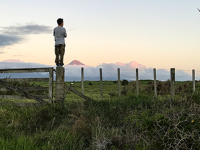 Nei te mihi o Ngongotahā maunga ki a Taranaki. Kātahi te kōrero pono ko tērā! Ngā mihi ki a koe e te rangatira o Taranaki. Nāu i whakatakoto te kaupapa kia kite ai te tini, te mano. I a au e pānui ana i tāu kōrero ka hoki āku mahara ki tētahi koroua Pākehā e mea ana "Why can't we all just be the same?" ki tāku, ko te pūtake o tāna kōrero e pēnei ai "you mean why can't we all just be like you!" The more things change, the more things remain the same. 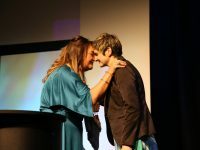 more reason to educate kids properly on Maori history I was told by a Kuia who recently passed Mere Broughton that I wasn't to use Maori but Mauri to address ourselves…. Anyway I am only talking about being Mauri we should be governing ourselves dual government why because we can getting thrown crumbs is not gonna change we can run our own affairs with our own land that's left excetra…. Only then can we move equally forward…..
Uuee he reka tena korero ko Ngai Tatou te iwi Mauri, kiaora mai! I see value in a Māori voice on boards. There is a problem with the combination of your white privilege arguement which states as a pākehā I'm not asked to speak for all pākehā people, and yet claiming the right to speak on behalf of Māori. You cannot have both the right to only speak for yourself and demand the right to speak on behalf of Māori. If you wish to have a representative on boards then you are reinforcing the issue identified as the first part of white privilege, not being treated as an individual but as representative of your race. Also the majority of the issues seem to be majority privilege rather than specific white privilege. Which is still a significant problem just with a different name. Kia ora Simon, appreciate that you see value add in having a Māori voice on boards. No demands here whether Māori or Pākehā, we will always speak for ourselves over various issues. However if we are Māori, we tend to get asked to speak on behalf of all Māori; not sure if that expectation is placed on Pākeha to speak on behalf of all Pākehā. But again, this is not meant to be a Māori privileges v Pākehā privileges argument, it's more about having another world view is ok. You are right in terms of a majority thing; democracy tends to support the majority as we saw with the Māori ward referendum. However, I am forever optimistic that our place as mana whenua and our voice at the board tables can add value to our future, even if we are outnumbered. Kia ora Wharehoka. Treaty education leaves a lot to be desired when it comes to mainstream NZ. I agree and would go further and say that there should be a Maori council attached to parliament that oversees any bills before they're passed. The crown may govern but Maori are mana whenua and should have final say on important matters of the country. Your post really resonated with me. I grew up in the 50-60s and we did hear the kind of thinking you have expressed. I have to say, I usually had close Māori friends all the way through my school years (and Dutch, for some reason). I can thank my Mother, who took me to classes—for a while at least — to learn Māori and Māori culture. Perhaps that's because her brother was married to a Māori lady, and he became strongly integrated into Māori culture. I have a strong memory of listening to my father before he died, with tears running down his face (something he rarely ever did), talking about how the Māori people in Gisborne supported his family with food during the Depression. My grandfather was a foreman on the railways, and helped build the Mohaka viaduct. I understand, that those who supported my grandfather and grandmother, and their family, including my father, worked under him. I grew up thinking that there was no difference between Māori and Pākehā. And, while there is a truth in this, you have shown me something over the top of that — that, despite the fact that we are fellow humans, we do come from different backgrounds and cultures that mean something to each one of us. We need to respect that. The Treaty is an important additional layer that sits over that again. So, thank you! Let's examine one of the underlying assumptions: that tino rangatiratanga can be expressed if Maori participate in the European/Westminster-based governance arrangements that dominate NZ today. Surely it should be the other way around? The European Tiriti partner should be operating within a tikanga framework. Aah.. a friend and Kuia once said to me that racism can only die out. This is the adjective and the verb. Sadly, long way to go. Your article is beautifully written and Mayor Judd ain't finished yet! Your comment "A mana whenua voice should be considered as a permanent Board position" is not legally possible according to our school chairman who stated this was his advise from NZSTA? Tika tāu Kariatiana that is correct and we would have to go through a lengthy process for it to become a legally recognsied role, hence my frustration about our tangata whenua status. In the short term its about encouraging BOTs to take on a tangata whenua seat as its value add and its the right thing to do. It’s a cool kaupapa bro. I am of the view that all Boards in NZ require a mana Māori seat at the table. That would be construed in different ways for different boards and so it should. It only needs to be present. The partnership between Māori and Pākehā has to be evident and normal at the governance level. Sentient boards with a command of reality will do it anyway without being told to. I support more tangata whenua representation on Boards and Councils. Opposing arguments are based on a fear that Māori will gain more than Non Māori from any initiatives or may even get cut out of any benefits. Business interests have been noted to use this angle to promote a sentiment that Maori are privileged to grow a swell of support to protect their intersts like Muriel Newman did with her "should one race control New Zealands fresh water" paid advertisement campaign through by mainstream media channels. She sneakily tried to hide her and her right wing friends by naming her organisation "New Zealand Centre for Political Research". Innocuous or cynical the truth is that the organisation is a surrogate for right wing idealism and this was surely to help protect the right of her mates at Oravida. In essence this is paid advertsing and you don't pay for this type pf advertising unless you are protecting your somthing. We saw how whale watch was used to represent political and financial interests too and these voices get more traction and than they deserve. Is that because they get a free ride? When the media get a free ride to bash, as in the case of the TVNZ survey and are defended by the Prime Minister, then bashing will continue. I have to say that by calling it white privilege, you deepen the existing rift. Colour is genuinely not the issue. The privilege you refer to is actually never having lived under the burden of negative social stereotypes. You will find that most Kiwi's that oppose Maori seats etc have never lived abroad or had any experience of being the minority. It's hard to teach people who don't think they need to learn: like explaining the ocean to someone who has never seen it or felt it. But from my heart, please find a different way to explain privilege or lack thereof. Tēnā koe Joy did not want this to be a race color debate but sometimes we have to say it how it is. Māori privilege gets thrown at us often and then we try to use language to appease those that accuse us of having Māori privilege. We could call it Non – Māori privilege or Pākehā privilege and still we are seen as being offensive. Often our cultural values of manaaki and aroha ki te tangata prevent us from telling it how it is so we get caught in that dilema. At the end of the day we are what we are Māori are brown and have a way of seeing the world and Pākehā are white and have a way of viewing the world and you know what its ok to be different. Agree with your comments of those who have not lived as a minority but that still doesn't make uninformed comments right. Tino Pai to whakaaro . Kaore he tangata i te marama Te Tiriti. Makes me realy sad what tangata whenua have had to endure. This is a real challenge for schools where there are low numbers of Māori whānau, as it places a large responsibility on a small group of parents. That being said however, our school has seen real benefits in whānau hui and Māori representation at BOT level, as well as parent involvement in our growing Kapa Haka group. I guess my wondering is (as a Treaty partner) how we as a school can best support our Māori whānau to continue to provide leadership in way that is sustainable for them and their wider whānau. A thought-provoking article with respect to what is privilege??? I ask myself to what extent is my monocultural predilection the norm, or even a choice, in NZ and globally. Is Maori visible in my classroom – the language, the signage, my practices??? And, if not, what are the messages that I give to my learners. My journey is to shift my mindset to not accepting the outcomes of monolingualism and multiculturalism which have resulted/result in inequities. At the same time, I need to find ways to promote the benefits of bi and multiculturalism: language and literacies, competencies and capabilities. In addressing the hegemony of English (education, business and citizenship) and foregrounding biculturalism before multiculturalism, I can perhaps make a difference concerning issues of differential achievement, and any subsequent low representation.